First of all I would like to apologize for the time I am publishing this post! I have been so busy today cleaning the whole house and preparing the final arrangements for my cousin's arrival tomorrow morning so I haven't had time to even sit and breathe today! But I can finally sit down and relax and prepare a few posts for you all so make sure to stay tuned for them. Anyway, getting back into the point of this post. As you can all probably tell winter is fast approaching. Last night when I was in my Dad's car the temperate was -2 degrees. That's not even freezing! It's below!! (Such a science whizz Fleur). But for some reason it got my thinking about my nails! Probably because I had just painted them and they got smudged when I put my gloves on (Need a fast drying top coat!!!). 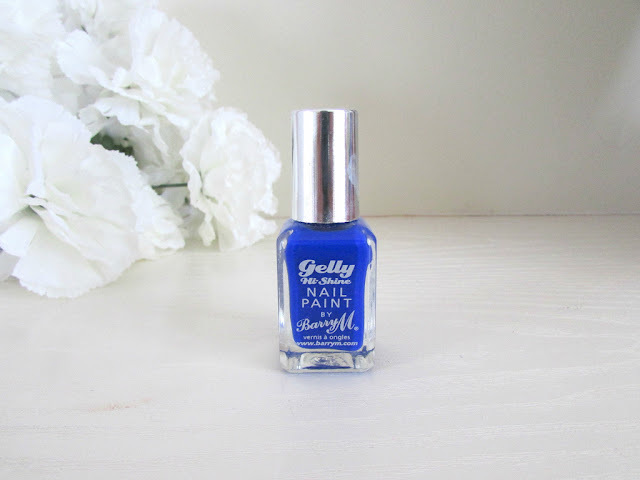 The color I was wearing is this gorgeous blue shade from Barry M's Gelly Hi Shine range. The color is called Blue Grape and is a gorgeous combat blue. I don't know about you but when I think of Winter, blue is definitely a color I tend to wear a lot. I just think the above shade is the perfect shade for Winter. As someone who's not a huge fan of dark nails but also thinks bright nails are a no-no for this time of year it's perfect for me! As with all the Gelly Hi Shine nail paints, I find this shade to be extremely opaque with just one coat. The swatch above, however has two coats and I know it's not exactly perfect so I do apologize! (I'm currently taking applications for a tutor in how to paint nails). It's also fast drying, doesn't chip easily and lasts a good 7-8 days on my nails before I need to reapply it. I'm literally in love with these nail paints and blue grape is a color that you will see me wearing a lot throughout Winter. There are currently 18 different shades within the Gelly Hi Shine range that suit all seasons. So what are you waiting for? Check out the swatches on the Barry M website HERE or go to the Boots website HERE where you will be able to purchase them for £3.99! 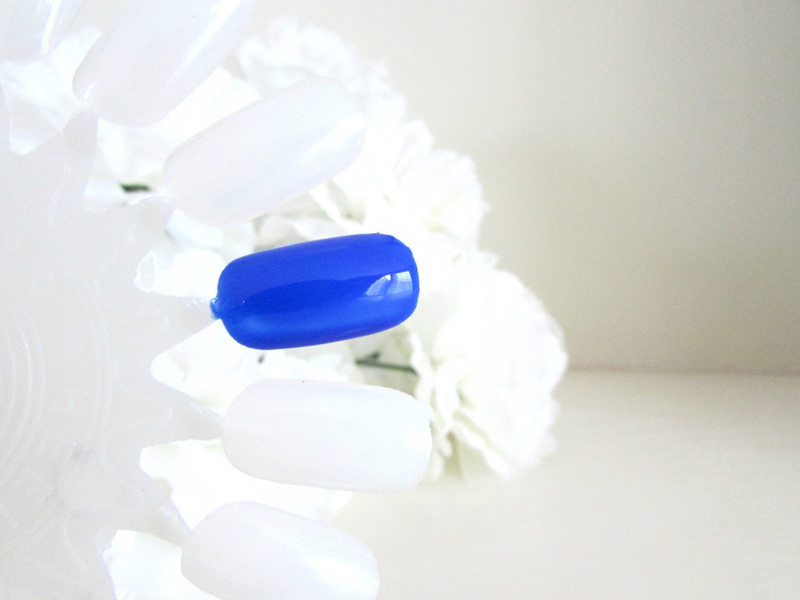 Do you like the Gelly Hi Shine Nail Paint's from Barry M? What is your nail color of the season? Wow this blue colour ist truly stunning!